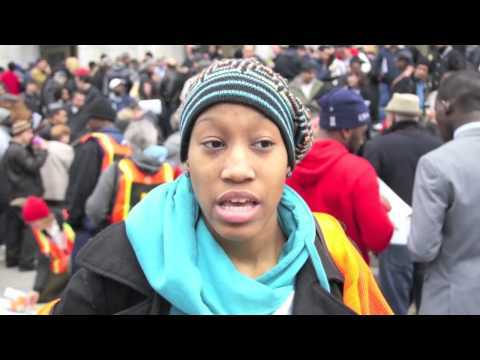 MBN Producers were on the scene at Occupies all over the country. Collectively we may have the largest collection of Occupy videos in existence. For Day 1 coverage go to the last page of the archive. 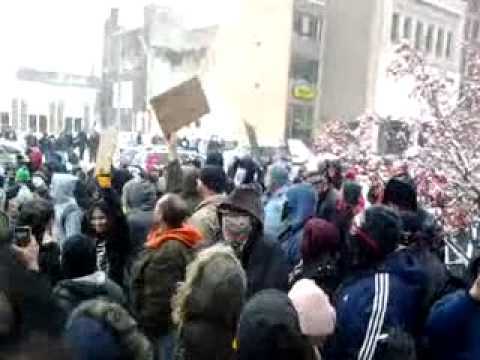 a comedy moment in the hours leading towards the Occupy Pittsburgh Evicton February 2012. I'm Spoofing KDKA TV Reporter Marty Griffin a known Scumbag reporter who falsifies stories. On the night of the eviction. I had left a spokes council to head back to Global Revolution studios. The streets looked wet, and I called a good friend of mine form back home. After 3 months of Occupy Wall Street, most of my personal relationships were frayed, and I had been trying to mend my relationships old friends not in NYC. As I walked I saw lines of NYPD vans stream past me towards the park. It wasn’t unusual, until I noticed that all the vans were full. Each van had cops pressed shoulder to shoulder in them. I told my friend I had to go and called back to the park to advise members of the media team what I had seen. They told me everything seemed fine back at the park, but I decided not to go to the studio and jumped a train to Liberty…just in case. When I arrived at the park it was cool. The air brisk, and the usual wanderings of people milling, people had taken to coming into the park later and later, some not even staying at all as the temperatures dropped. I checked in with the media team I was working with and they reported nothing unusual. I relaxed. Every night was paranoia. Every night was our last night. 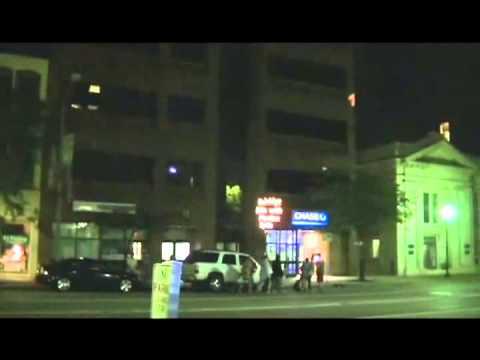 Late night direct action and demonstration of their tech from the backbone campaign and the Detroit Light Brigade in Downtown Kalamazoo Michigan during the International Gathering of Occupy 2013. 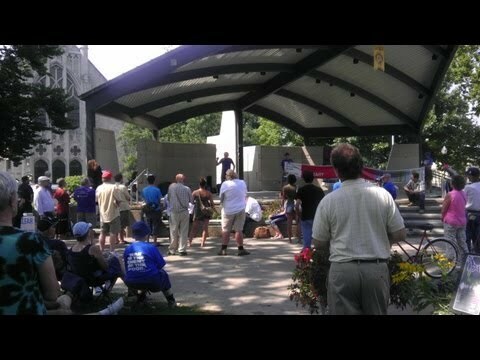 Filmed by @circleforever in Kalamazoo Michigan. 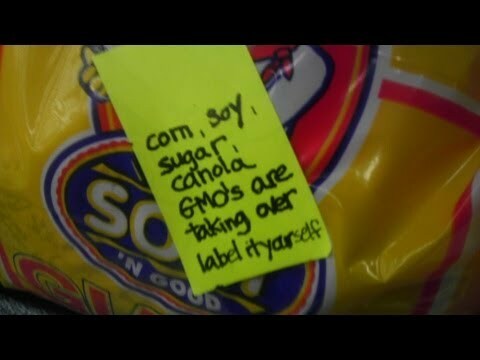 This is a direct action against Walmart and Monsanto cooked up by Occupiers attending the National Occupy Gathering. By Joe McEvoy, Editor WWH/CJE – Cy Vance, the Manhattan DA ,through his office announced that he will not prosecute the NYPD officer who pepper sprayed Occupy Wall Street protesters without provocation. Inspector Tony Bologna, did receive a slap on the wrist though. He was disciplined by the NYPD for violently assaulting with pepper spray, two women who were held behind mesh police netting during a OWS demonstration in 2011. The department docked him 10 vacation days and reassigned him to Staten Island, to abuse others out of site of video cameras, no doubt. 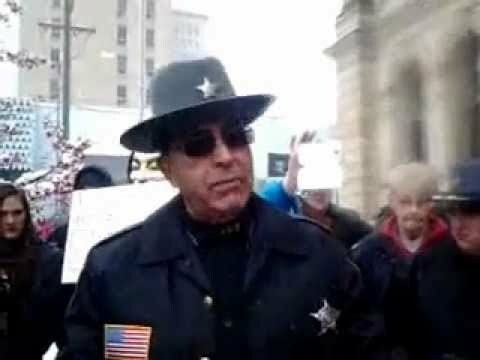 Violent criminals like Inspector Tony Bologna, are not loose cannons, bad apples in an orchard of fine fruit or a minority in law enforcement here in the good ole” USA. Violent criminals like Inspector Tony ‘ the woman beater’ Bologna and Inspector Johnny Cardona, (Johnny ‘the punk’ Cardona sucker-punched a protester without provocation in full view of the press during an Occupy Wall Street march in October 2011.) 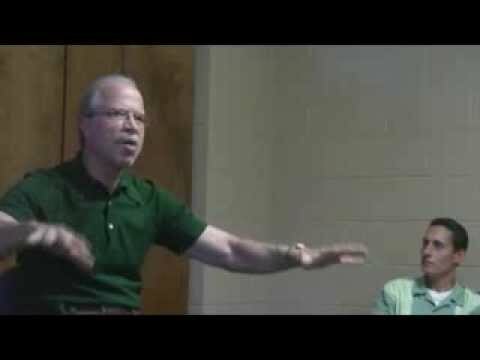 are the enforcers for the corrupt politicians, bankers, rich, and connected in this country. Out here on the road, I stop at a lot of places where I might not normally eat. One night, it was getting late and we didn't have a place to stay. I made a call to my friends from South Carolina, Greg and Brady Gavan of Money with a Mission, and they treated us to a night in a motel in West Memphis. It was after 8 p.m. by the time we checked in, and I was starving. There was a Waffle House right next to the motel, so in I went. Wilma and I found a table and made ourselves comfortable. I was just off the Footprints for Peace walk against mountaintop removal in Kentucky. I was tired and maybe a little cranky, so I noticed that it took longer than I felt it should for the waitress to make her way to my table. I was just getting ready to start waving my arms or clinking my glass (not really, but some people DO do that, and I FELT like doing it) when I noticed the waitress, the only one in the joint, shuffling in my direction. She was moving slow, VERY slow, and when I looked down, her ankles were swollen the size of basketballs, too heavy, tired and painful for her to lift even an inch off the floor. When she reached my table, I looked into her passive face and couldn't help staring at the black bags under her eyes. She looked like a prizefighter, only I knew those bags weren't from any one blow. This woman had been dealt a knockdown punch by life itself. Just back from washing and vacuuming the car. Trying to figure out how we cram clothes, camping gear, photo equipment, food, two people and the dog in my little Prius for a 6 month to 1 year road trip… Searching for Occupy. I commented to my partner in this venture, Denise Valdez, that at least when we were occupying in D.C., we had tents. Suddenly, the memory of those frozen, leaky tents translates into plush, cushy, comfy luxury. We don’t know where we’ll be sleeping from night to night… What if one of us gets sick… How do we avoid corporate food stops... What if we get arrested and they take the video equipment that has been depleting my bank account...What if… what if … what if what the media implies is truer than we believe and we can’t find Occupy? 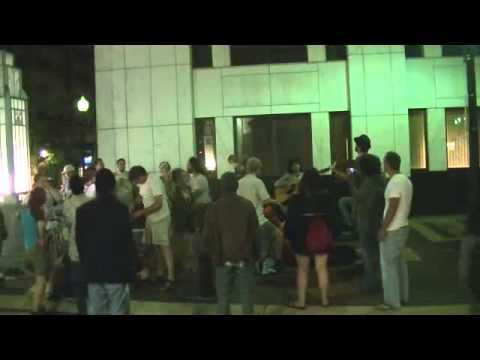 This is by far one of my most proudest and emotional videos I filmed as a live streamer with Occupy Pittsburgh. I'm confident this was shot on February 5, 2011, but it may have been a little bit before that. 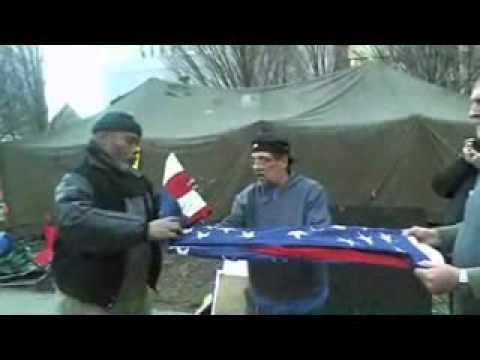 It started with the Vets beginning to remove the ripped and weather worn american flag that flew over Occupy Pittsburgh since the first day on October 15th. I asked to keep it so it could be saved for history and the vets agreed it should be saved. Even though, we all kept saying this was not a sign of retreat, we soon realized after removing the secondlargest american flag that indeed this was a sign of retreat, as Occupy Pittsburgh ended on February 8, 2011 with about 12 members holding a press conference and marching out of the park before the Allegheny County Sherrifs could come in and forcibly remove them. I teared up as I was presented the first flag, and totally lost it emotionally as the second flag was removed and presented to one of the vets. It's strange as I have the entire archive of Occupy Pittsburgh footage, but never thought of going back and starting to cut high lights until a week or so ago. 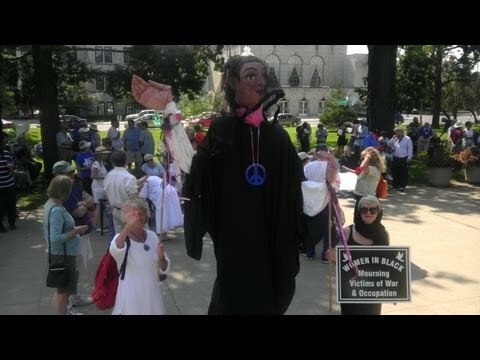 This is the first vid to be edited, and will also be the first video that a commentary will be cut to for the Occupy Pgh live stream channel relaunch marathon on this Saturday. New York, December 2, 2012--Following the closure of its two distribution hubs in Brooklyn, Occupy Sandy now has several distribution centers for donated supplies for storm victims in the Rockaways, Coney Island and Staten Island. The shepherd's pies prepared yesterday by Occupy volunteers in the Integral Yoga Kitchen in the West Village (see previous film on this channel) were brought out to the Rockaways recovery site at St Gertrude the Great's Roman Catholic church on 36th street and Beach Channel Drive; which was operated by volunteers from 1pm to 4pm on Sunday. Inside the vast church hall, neighborhood residents were able to pick up donated supplies such as brand new sleeping bags, canned goods, batteries, toilet articles, clothing, children's sneakers and other survival necessities. Two lawyers were also on hand to provide legal services. for landlord tenant issues, benefit claims and other storm=related problems. At the same time, an American Red Cross disaster relief van parked in front of the church distributed hot grilled chicken sandwiches.VIDEO: includes location footage driving through the Rockaways, the St Gertrude's recovery site in operation, interviews with several Occupy Sandy volunteers and one American Red Cross member; and a moving handwritten account by a mute volunteer about the special predicament in which undocumented immigrants find themselves post-storm. Filmed by Liza Béar.